SKU: 9786050303506#37291#EPUB. Categoria: Autori, Azione e Avventura, Daniela Morelli, ebook, Editori, Fantasy, Fantasy e Magia, FICTION PER RAGAZZI, Fumetti e Romanzi Illustrati, Generale, Mostri, Paolo D'altan, Ragazze e Donne. Salisedine Episode 1: Salis Escapes. Last night I dreamt of the Moon. It was yellow and full like it is on the roster’s whiteboard and it said to me… Salis, run away. And so begin Salisedine’s adventure. She is called Salis for short. 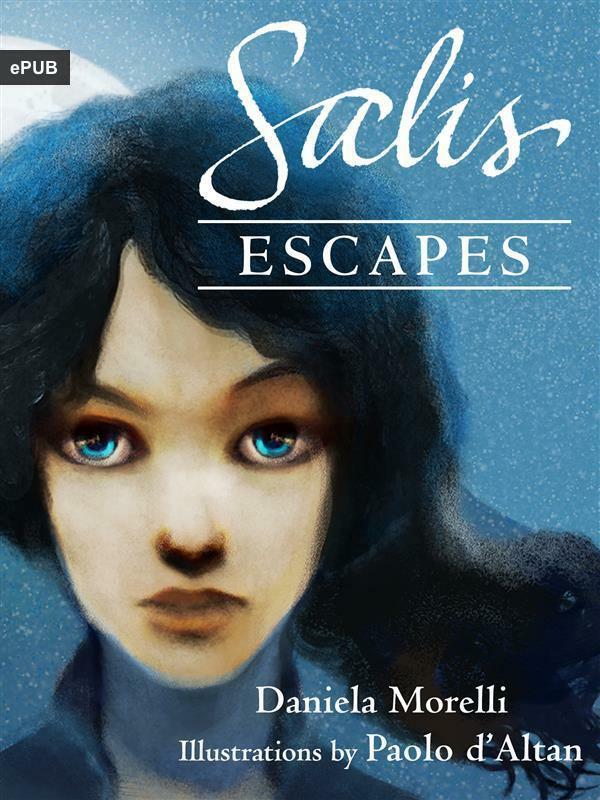 Salis Escapes is the first episode of an illustrated story about a fourteen year old girl who lives an extraordinary adventure… to escape from the slave Camp where she was born. The Mutation has already started there and the Mineral Kingdom has taken over… with humans as slaves to Salt Crystals. Will she be able to find her father and restore the balance of all the planet’s Kingdoms? What awaits her in the Fresh Water Region? What is the secret of her power? Written by Daniela Morelli and illustrated by Paolo d’Altan. Nessuna recensione presente ancora, vuoi inviare la tua?